What better time to purchase a new boat than during the winter?! This time of year in Minnesota feels like the dead period of boating. So, while others are focusing on indoor activities during the cold winter months, consider purchasing a boat this time of year. The best time to purchase a boat is the winter/off-season. If you just purchased a boat, make sure it is in good hands until you can get it out into its natural habitat, the water. Consider storing your boat at Anchor Marine Repair, a well-respected indoor boat storage facility in Minnesota. When it comes to brand new boats, there may not be much maintenance needed during the off-season. However, if you purchased a used boat, it is important to have experienced boat repair specialists examine every nook and cranny of your boat to ensure that it is ready to get out in the water come spring. At Anchor Marine Repair, we offer more than just Minnesota boat storage to our customers. We offer free estimates and consultations on any boat damage you may be dealing with. Our dedicated team takes pride in repairing boats to better than pre-accident condition. Take advantage of the cold months and make sure that your pre-owned boat is tuned up and ready to go for the spring of 2016! As a staff with over 45 years of combined boat repair and storage experience, we have stored all types of boats and worked on a wide range of boat injuries as well. Our success as a boat repair and storage shop is thanks to our loyal customers. To show our appreciation, we offer free boat pick up/drop off services within 250 miles of Minneapolis or St. Paul, MN. How easy is that? Just give us a call this winter and we will handle the rest! With 10,000 square feet of combined storage and workspace, we can handle boats up to 38 feet in length. Put your faith in our staff and we will provide your boat with the total package when it comes to storage, maintenance and repairs this winter. 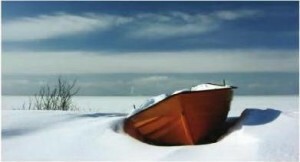 Don’t leave your new or used boat out in the brutal Minnesota winter weather. Instead, team up with Anchor Marine Repair for affordable winter boat storage services. While we have your boat, let us perform a free consultation on any maintenance or repair needs that your boat may need and we’ll have you ready to go when the warmer weather arrives. Give our team a call today at (763) 972-3540 and we’ll set up a time to come pick up your boat for free.